Will the ‘rise of the machines’ wipe out humanity – as portrayed in the Terminator movies? Will robots free us from the drudgery of work and enable us to enjoy endless leisure time? Or will Artificial Intelligence simply make us all redundant, creating mass unemployment, poverty, and economic meltdown? The term Artificial Intelligence (AI) has been in the news a lot recently. Everyone seems to be talking about it but few people seem to know what it really means for business and society. To shed some light on the subject, the Norfolk Network invited AI technology expert Dom Davis to share his views and then asked four local business people to discuss what AI might mean for their industry. This post summarises what Dom and the panel discussed in front of a packed auditorium at The Forum on Thursday 28 April. Thank you to all who came to listen, to Dom for his fascinating talk and to our four panellists: Kitty Rosser, Associate at Birketts LLP; Mark Fletcher, Operations Director at Cooper Lomaz; StJohn Richardson, Corporate Manager at Price Bailey LLP, and Bijan Arasteh, UEA MSc Business Management graduate. Dom started by asking us to step back from Hollywood’s nightmare predictions of what AI means for humanity. The potential for sentient artificial beings taking over our world is a long way off – perhaps even impossible. In Dom’s view, we risk letting fantasy distract us from the potential challenges and benefits of reality. Before discussing AI, it’s useful to define what we mean by ‘artificial’ and ‘intelligence’. For the purposes of this talk, Dom asked us to accept that by ‘artificial’ he meant computers and machines powered by computers (robots if you like). The nature of ‘intelligence’ is a trickier concept to define – we think of dolphins as intelligent but (as far as we know) they can’t play chess, unlike Deep Blue. What will AI powered robots mean for jobs? “We don’t need to send humans to Mars,” Dom explained, “we can send robots instead.” This would be cheaper, safer and more efficient because for scientists to survive on Mars they’d have to be multi-skilled. Whereas, if they stay on earth and get robots to do the dangerous extraterrestrial work for them, they can specialise in specific disciplines. If robots can replace highly skilled workers, such as astronauts, what hope is there for the rest of us? Once you get past the idea of AI destroying us or enslaving us, you face the real social and economic challenge of understanding how many jobs will go – and which ones. If the shift to automation is too rapid, we face the prospect of large-scale disruption to whole industries. The threat to jobs from automation is nothing new – just think back to the loom weavers’ riots in the industrial revolution. But the pace of change appears to be increasing as rapidly as the increase in computing power – along with the range of jobs under threat. The question is, will we be able to create enough new jobs fast enough to avert mass unemployment? Boeing builds 20% more planes than in the 90s but with 33% fewer workers. As Dom pointed out, “we all use AI every day, often without knowing it – and virtually every business incorporates some form of AI into its work.” Just look at cash dispenser and self-service checkouts – both are, in effect, simple robots running on simple AI. If you use a smart phone, you have AI in your pocket doing things that were unthinkable 10 years ago; if you use SatNav, you have AI on your dashboard (as well as running your car’s engine management system); if you use a search engine to find out about AI, you are using AI. 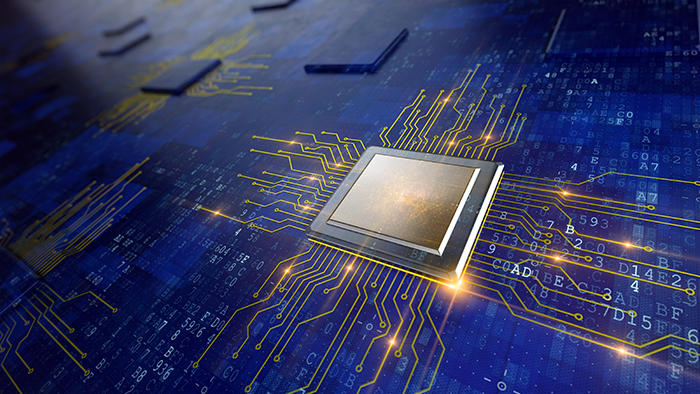 Wherever you look, you’ll find AI powering your life because AI is often just a fancy term for advances in technology. 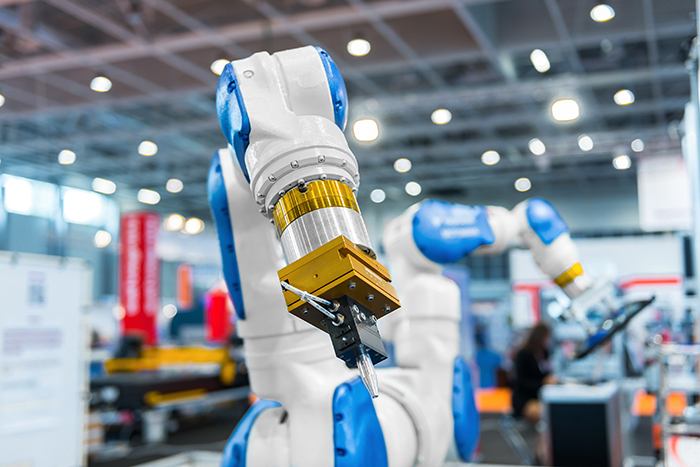 We see this in manufacturing, where engineers are augmenting complex, cumbersome and costly industrial machines with AI, to make them flexible, efficient and customisable. Soon it will be possible to design your own clothes online, tailored to fit in the fabric of your choice, then 3D printed and delivered by drones – all thanks to AI. 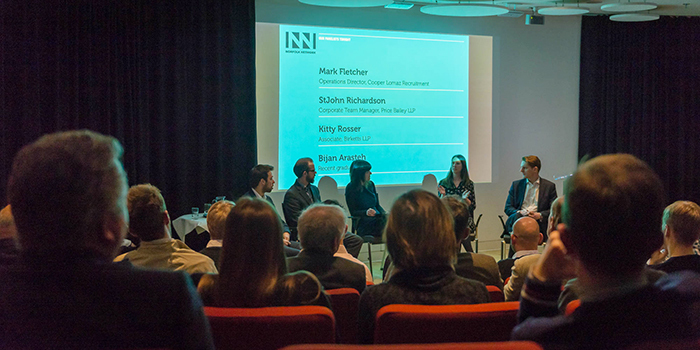 After Dom’s talk, Norfolk Network’s MD Lucy Marks led the panel discussion. She started by asking the four guests what AI meant to their profession and how it might affect their future. Kitty Rosser responded first by pointing out that AI was already hugely relevant to the legal profession – but the challenge was to keep up with the technology. “Much of the work that trainees used to cut their teeth on is now automated." All the panellists thought that increased automation might lead to more free time – which in itself might be a challenge. StJohn raised the question of what we would do with ourselves – and how could we afford to live if we only worked for, say, three days a week. Kitty pointed out that some countries, such as Norway, are already discussing the idea of a universal citizen’s income. Bihan suggested we might need to become more creative and entrepreneurial, to turn our hobbies into second incomes. While Mark felt our system of education needed to evolve, to give young people more relevant and marketable skills. He also wondered when he would start recruiting robots, something a Japanese company has already done with the appointment of an AI Agent called VITAL to its board. such as imagination, negotiation and empathy"